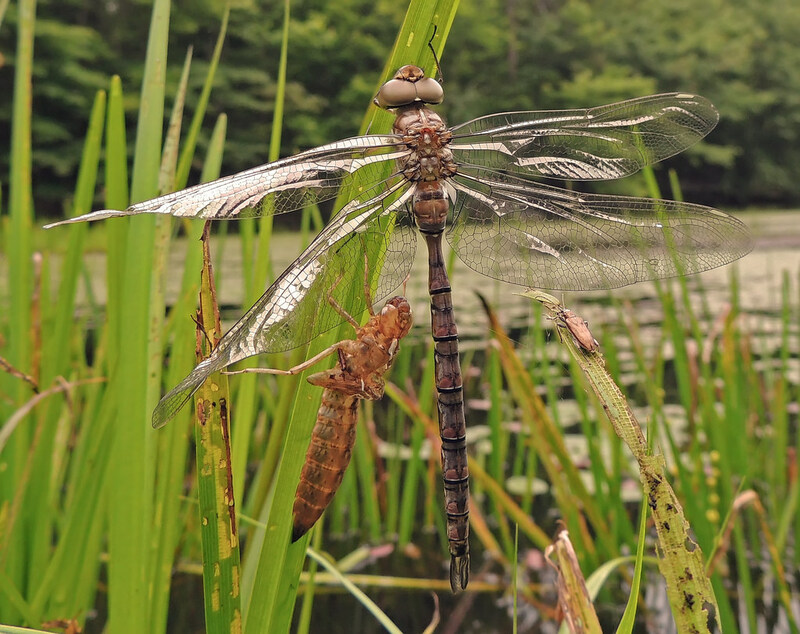 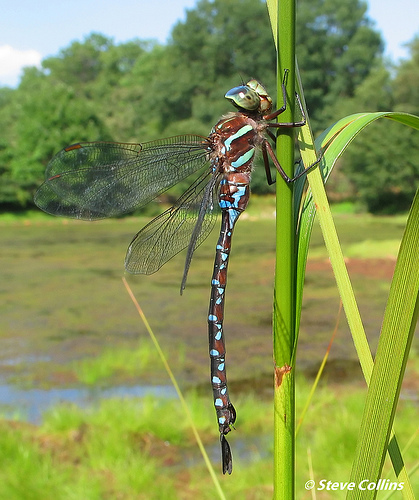 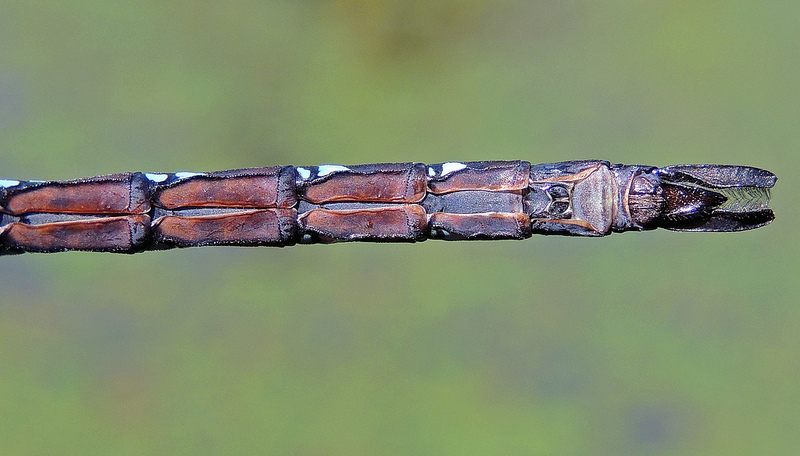 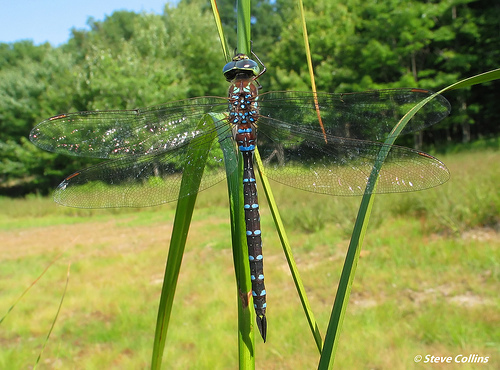 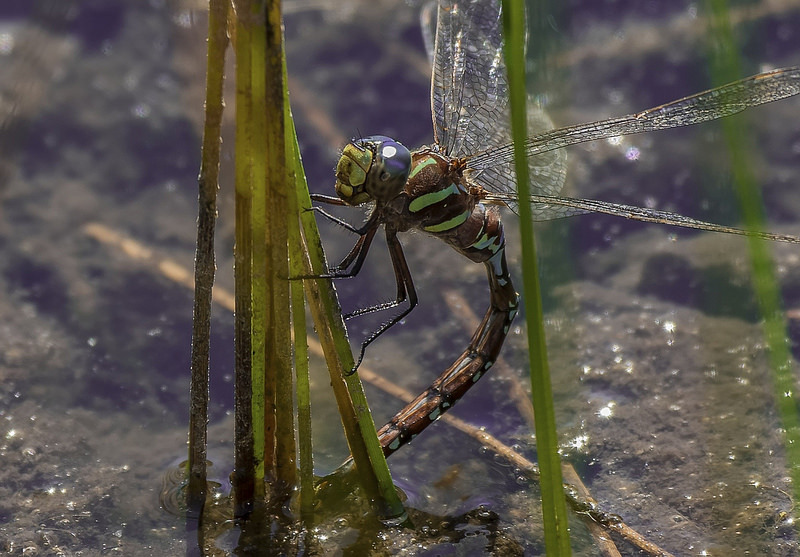 Black-tipped Darner (Aeshna tuberculifera) breeds in lakes or ponds with emergent vegetation, like cattails or sweetflag, and may be common in some localities. 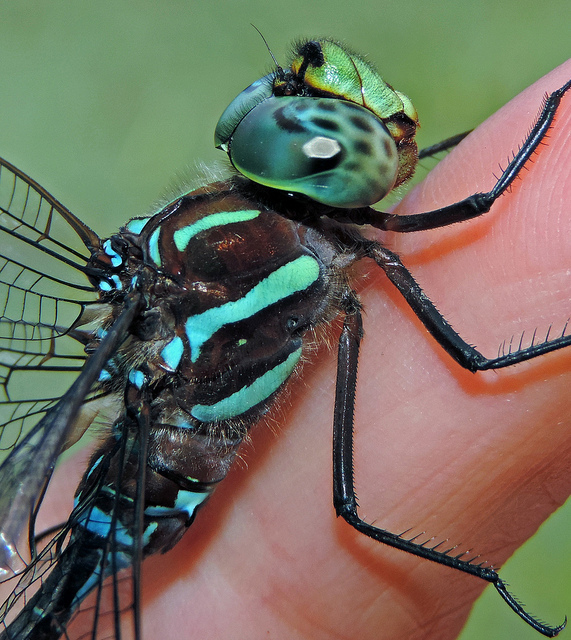 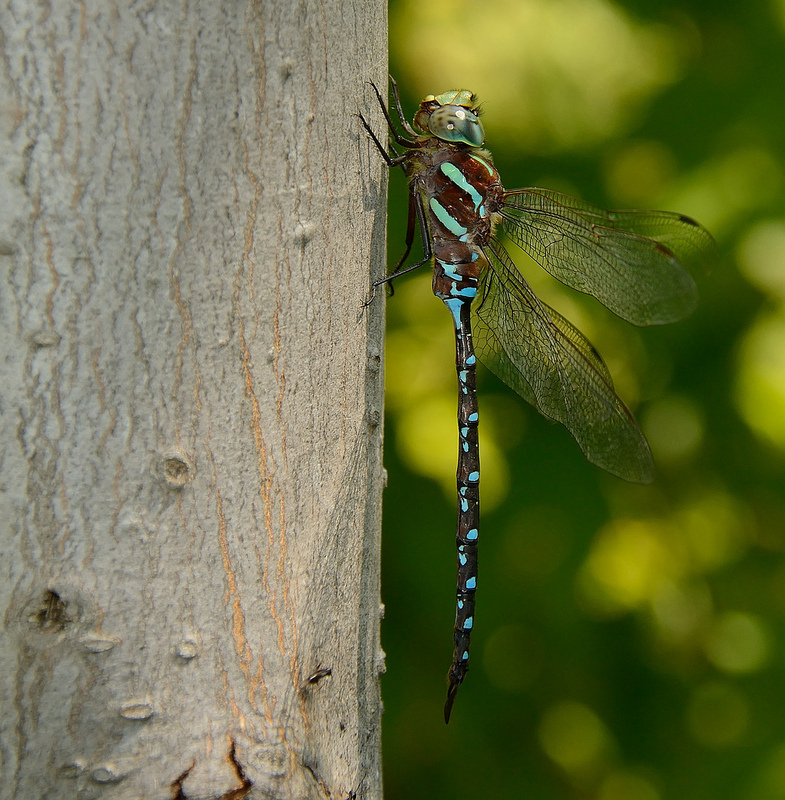 In Maryland, this darner is distributed primarily in the western and central parts of the state, from the mountains of Garrett Co. into the piedmont, with a well-known population in the Catoctin Mts. 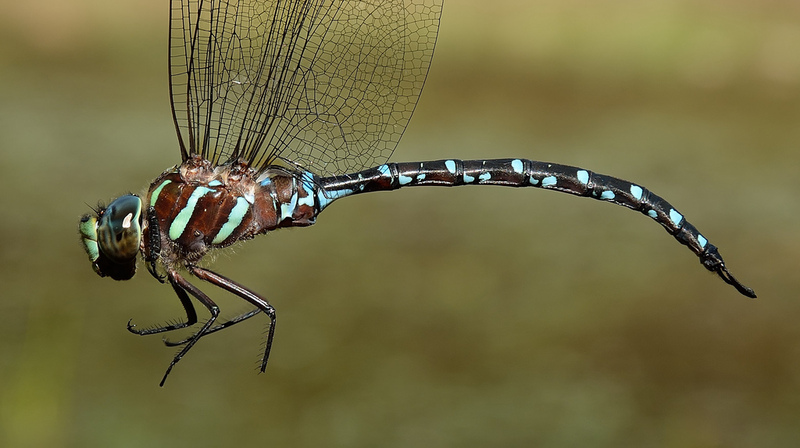 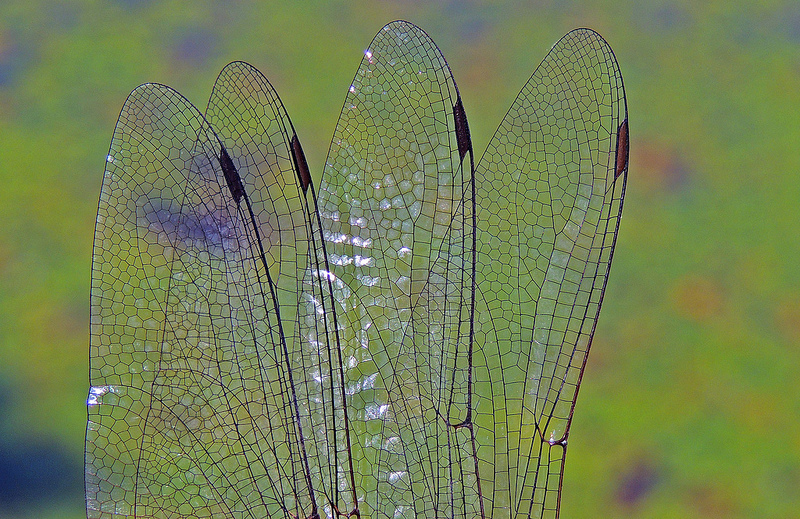 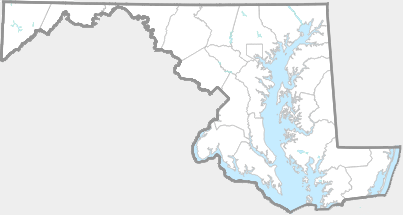 The species is known only historically from Prince George's Co (Richard Orr's The Dragonflies and Damselflies of Maryland and the District of Columbia).